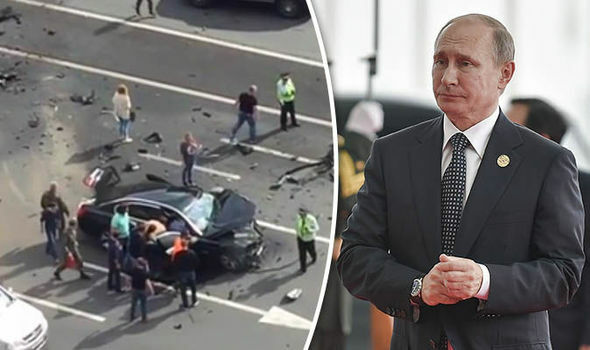 VLADIMIR PUTIN’s official car has been involved in a head-on collision which has left one man dead. 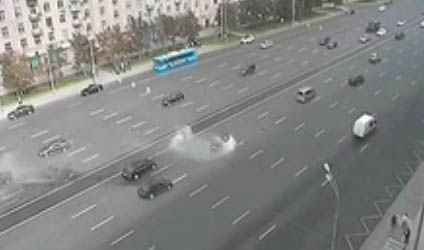 Shocking footage of the lethal crash has been released by Russian media.In the clip, the Russian President’s official black BMW can be seen speeding down a Moscow highway before another vehicle smashes into it. The accident was reportedly caused when a Mercedes crossed over from the opposite side of the road without warning. Mr Putin was not in the car when it was struck head-on but his favourite presidential driver was killed instantly. Medics rushed to the scene after the horrid accident on Kutuzovsky Avenue but announced the BMW motorist had died on impact. The Mercedes driver, who was travelling alone, has been taken to hospital in a critical condition.It is reported that the BMW driver, who has not yet been named, had more than 40 years of experience as an official driver. Police have only confirmed that they are investigating the accident, without giving any further details. The smashed car is officially registered as belonging to the Federation Council, also known as the Russian Senate or Upper Chamber of Parliament. 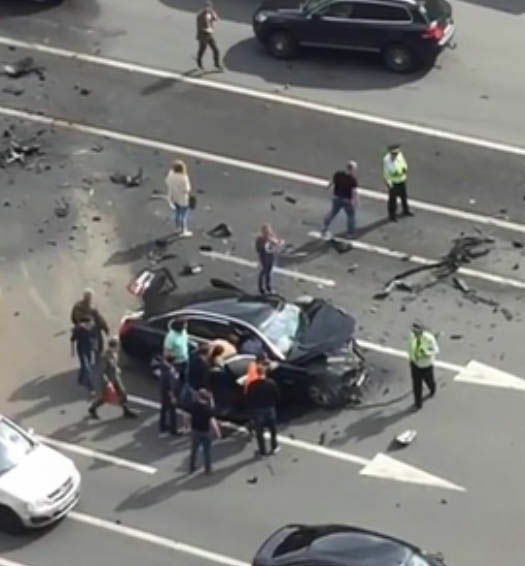 The clean-up operation took several hours and a huge traffic jam formed when Kutuzovsky Avenue was closed after the crash.Police are investigating the exact cause of the crash.